This is clearly a publicity stunt. My guess is the wedding will be taped for television and the family will take home a nice check. But it’s still kinda sweet. KISS rocker Gene Simmons, 61, and his longtime girlfriend – and the mother of his two grown children – Shannon Tweed, 54, are making their union legal after almost three decades of building a life together. 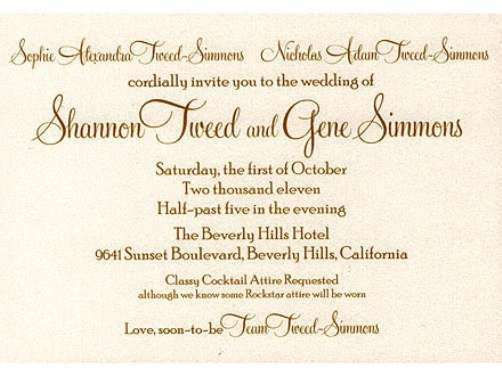 Not quite sure what made the self-hyped ladies-man decide to propose after all this time (besides money being involved); perhaps the recent “serious” threats Shannon made to leave Gene for good was the nudge he needed. The long awaited matrimonial event will take place at the Beverly Hills Hotel on October 1st. 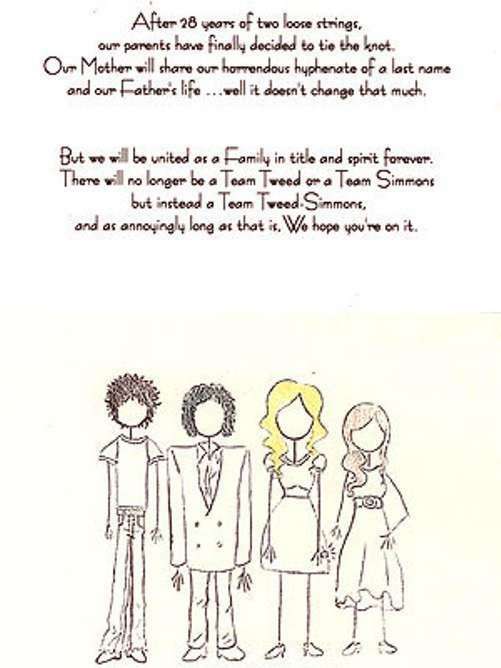 The invitations have been mailed out, complete with a sarcastic message from the Simmons-Tweed children, Sophie and Nicholas. 50 queries in 0.644 seconds.